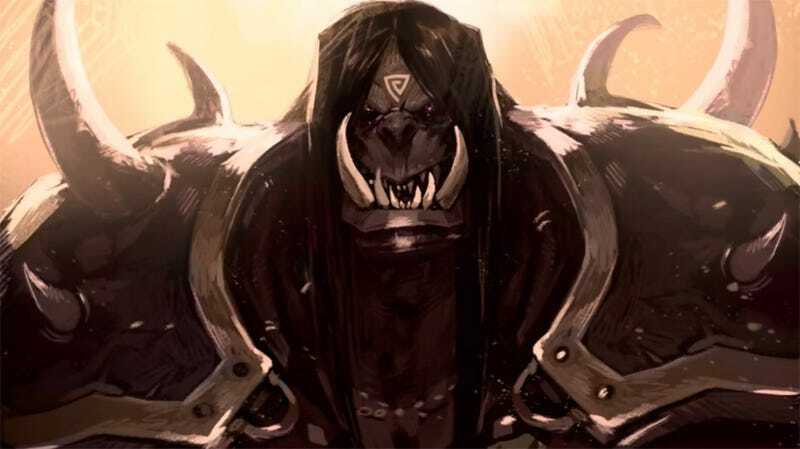 World of Warcraft's fifth expansion pack, Warlords of Draenor, is out in a couple of months - and Blizzard have been counting down the weeks to release with a lavish, gorgeously drawn web series looking at some of the big characters players will fight alongside and against. Come meet the Warlords of Draenor! The five part series, which wrapped up today, is framed by Alliance leader Varian Wrynn being briefed by Draenei Paladin Vindicator Maraad about some of the Orcish Warlords - Kargath Bladefist, Grommash Hellscream, Durotan and Kilrogg Deadeye (oh, mid-90's fantasy names, how I love your ridiculous OTT-ness) - the Heroes will face in the upcoming battle that kicks off the expansion. Maraad himself is the subject of the final episode, presumably so Alliance players like me can't whine that the whole series was dedicated to Horde-focused storytelling. We'll find something else to complain about. We're the Alliance, it's what we do! It's essentially a long, animated info dump, a sort of nice meet-and-greet-before-10-to-25-of-us-come-and-smash-your-face-in-for-loot thing, but it's gorgeously presented, building on the style used in a similar series last year for Mists of Pandaria called The Burdens of Shaohao. Considering the Warcraft series is turning 20 this year, it'd be great to see even more of Warcraft's expansive lore and worldbuilding get the fancy-schmancy animated treatment. Check out the full series in the playlist embedded below. World of Warcraft: Warlords of Draenor is out on November 13th.